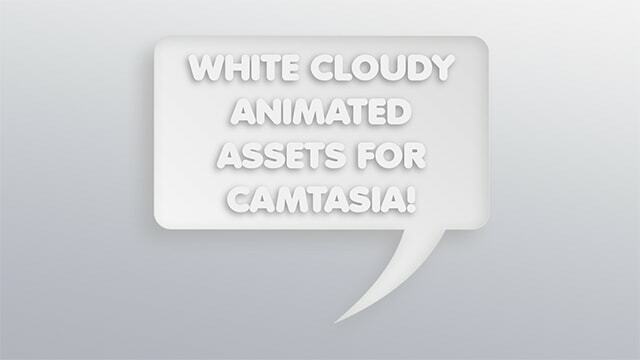 “White cloudy” styled graphics have been very popular, and now we have created a template collection for you to use in Camtasia. This version was made for Camtasia 9. Camtasia 2018 version will be available on June 20th here as well. This is a comprehensive collection, with 10 different animated text/white cloud blocks, 20 icons that you can animate and a carefully colored background, to give your presentation the unique white cloudy look. Check out the overview video to see included resources below. The templates are well organized and installs directly into your Camtasia 9 (PC) library. All resources have been carefully developed and timed to match each other in order to create a fluid presentation.